Last year our Grade 4s studied different biomes. They started looking at a threatened ecosystem in Mumbai - mangroves - and then did their own investigations on a different world biome of their choice. This year they decided to flip it around. The central idea of this unit is "Ecosystems are complex systems that can be impacted by a variety of factors". We discussed not starting with the ecosystems, but starting with the factors (for example climate change) and then looking at how this could impact ecosystems. I like this change: I think it focuses much more on the "so what" of learning. 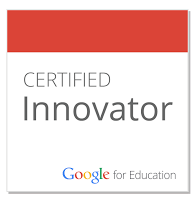 Of course this also means a broader focus to the unit and we talked about how some of the work on the biomes and ecosystems could be "flipped" to home, so that at school the teachers could focus on discussing and having students understand the big ideas. As Bergmann and Sams write: "Flipped learning is a bridge from traditional teaching methods which are heavily dependent on content, to more engaging learning methods that focus primarily on the acts of thinking and learning." It seems that with these changes the Grade 4s are definitely moving in this direction. Reflecting on this meeting I was thinking about how teaching can change over time. Bergmann and Sams write about a 4 year shift towards flipped learning that many teachers go through, focusing in the first year on creating or maybe curating an archive of videos. In the second year they can provide opportunities for students to access these videos at their own pace as they work on teacher-created projects. Finally many teachers then become happy to encourage their students to generate their own questions and projects, and they can direct students to the archived video content when they need it. At this point teachers have moved from teacher-guided to student-led inquiries and projects, and as Bergmann and Sams write, students are spending the majority of their time in the Creating and Evaluating levels of Bloom's Taxonomy, and they go down into the lower levels to acquire the information they need when they need it. Interestingly this approach "does not require content mastery prior to embarking on the creative or evaluative process, but allows access to content whenever it becomes necessary during the process." 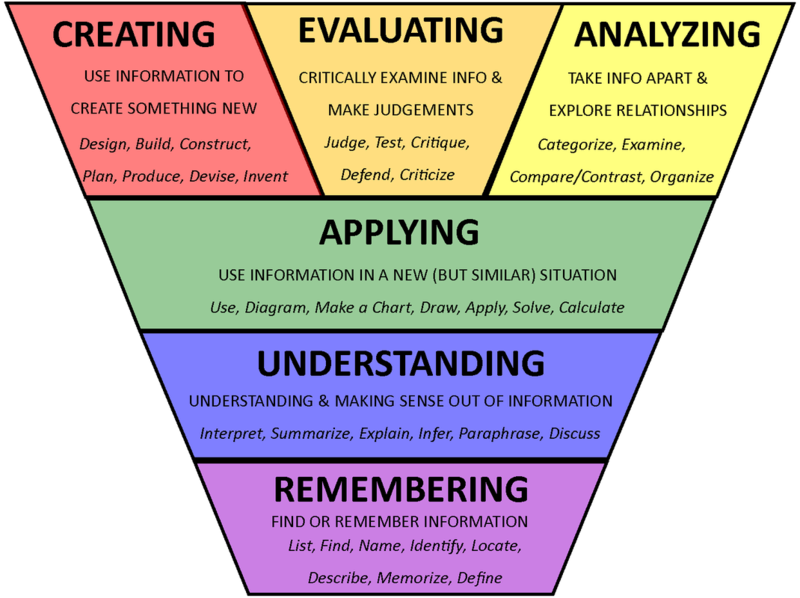 The image of the inverted triangle of Bloom's Taxonomy comes from a post in the Me and My Laptop blog by Jessica Pilgreen. The image is free to copy, print and distribute. Clicking on the image will bring you to a larger version.